Nina Simone seemed happy in the 1980s, singing in Ronnie Scott’s swinging London jazz club, a resident European star in front an adoring audience, wowing with the incomparable diversity of her repertoire, enjoying her still-potent influence on any number of signature artists from the Beatles to Elton John. Finding warmth but still embodying cool. You could imagine a concert-style stage show about the Simone of that era, a piece about a troubled genius who finally had started to enjoy her public, and maybe even come to terms with the disparity between the music she loved and the music she could sell. The Simone song that most interests Ham is her self-penned “Mississippi Goddam,” an anthem that didn’t so much express pain as raw anger at the Old South — as concisely expressed by two words as any lyric from any song in that era. Over the years, the song has come to occupy a similar place to “Strange Fruit” in the cabaret repertoire of many a blues singer. It is a moment when people stop talking, swallow their drink hard and, in some cases, feel their own complicity. It’s a song that banishes any and all romanticism; it was as if Simone barely could set it to music, barely could bother with the requisite notes, so much does the lyrical sentiment overtake anything dangling underneath. “Mississippi Goddam,” which Simone, all the way up to her death, said was held against her, similarly is the centerpiece of Charles’ performance. It is a formidable rendition; one among many. Charles has come up through Chicago’s storefront movement and she is remarkably well cast in director Kenneth L. Roberson’s production. She doesn’t, as would some, have Ronnie Scott’s veneer to shake off. On the contrary. She is naturally intimidating and goes right to where Simone would have been in that moment. 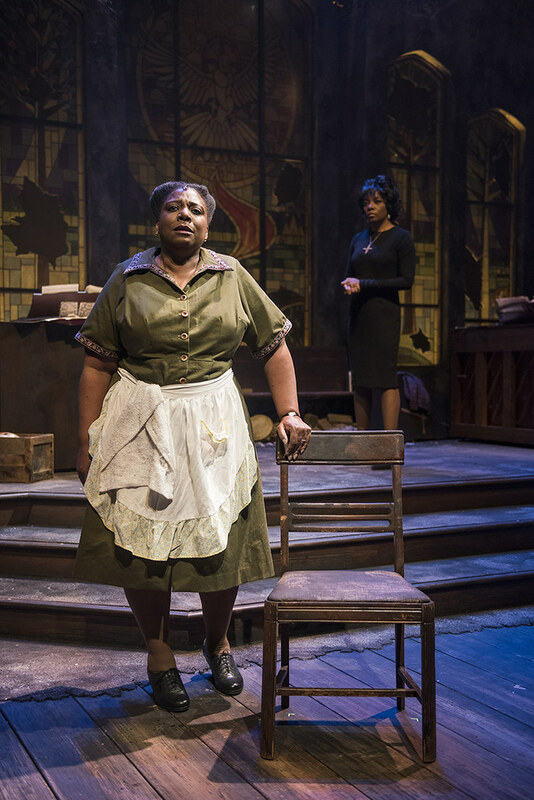 Christina Ham brings a profound story to the stage about the most honest woman in America during the civil rights movement era with Nina Simone: Four Women. 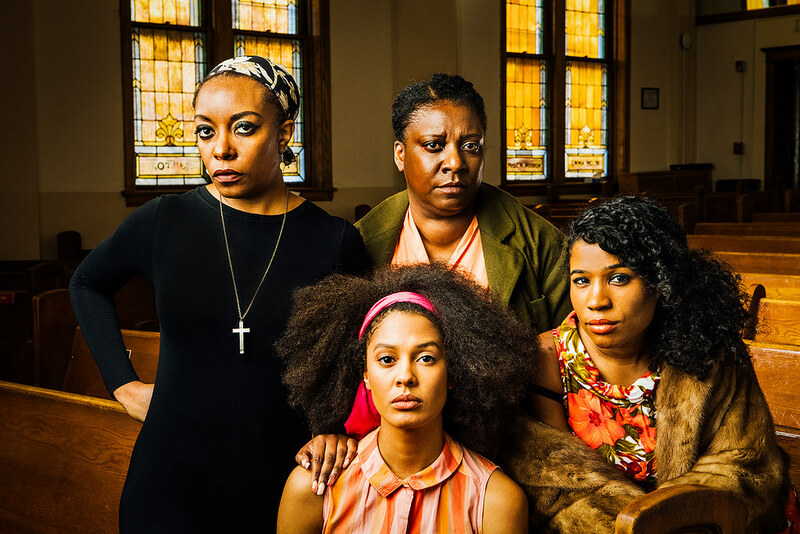 Based on the part of the title of the play “Four Women” a song written by Nina Simone about four different African American women with varying tones of skin ranging from light to dark and how each one represents an African American stereotype in society is the framework for the play. 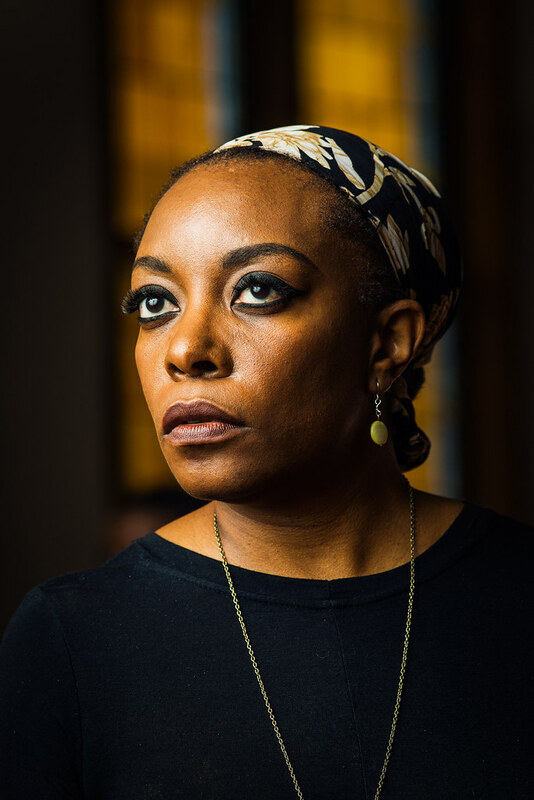 Leading this powerful cast of ‘Black Girl Magic’ is award-winning actress Sydney Charles (Flyin’ West, Father Comes Home From The War, and Guess Who’s Coming To Dinner) who played the influential recording artists Nina Simone. 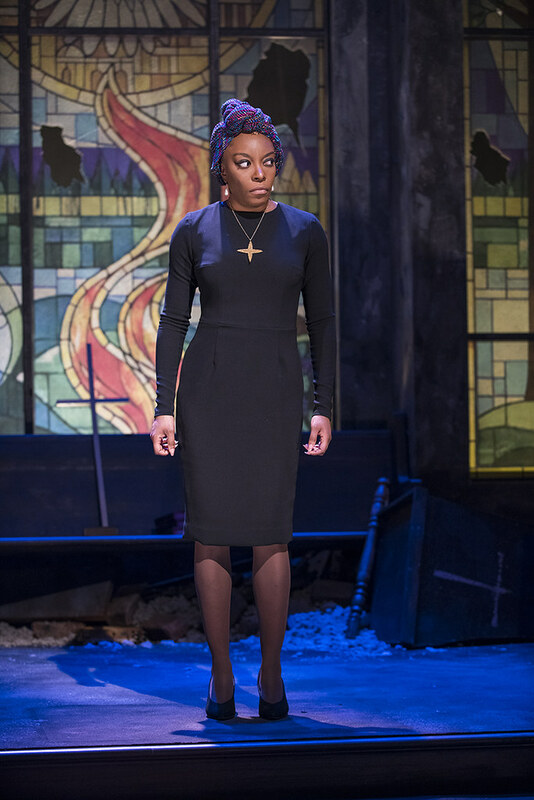 Charles is phenomenal as Simone, she nailed this role with the mannerism and style. If awards are given, she deserves top honors for this performance. 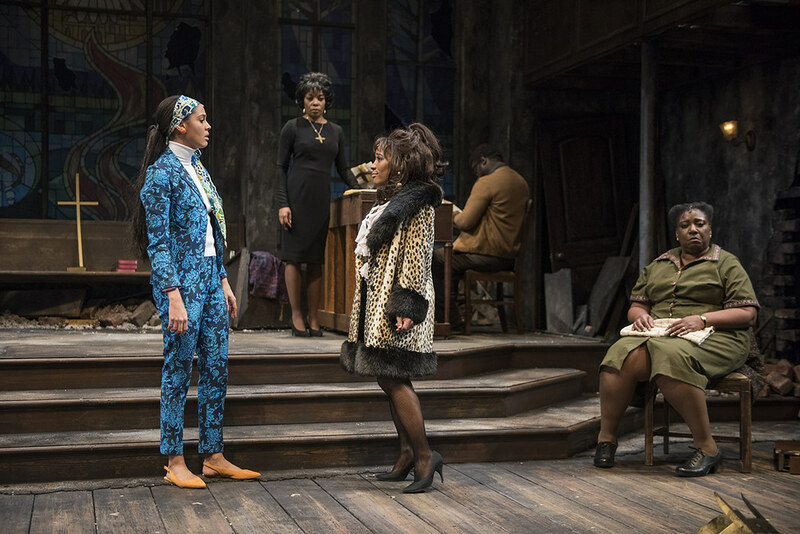 The cast which includes Melanie Brezill, Deanna Reed-Foster, Ariel Richardson, and Daniel Riley are exceptional and make Nina Simone: Four Women at Northlight Theatre a 5-star play. 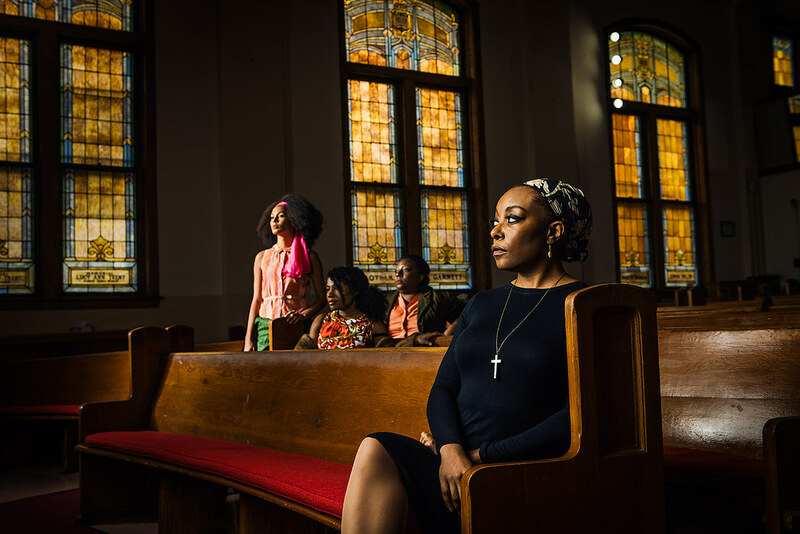 Very many shows are about Black women, but Northlight Theatre’s production of “Nina Simone: Four Women” is also for Black women. This does not preclude all other audiences from enjoying playwright Christina Ham’s deeply satisfying ride of tragedy, soul, and ultimately triumph; this is simply a story written in the Mother Tongue. Sydney Charles, one of Chicago’s most talented actors, pays spectacular homage to Simone, subtly adopting her regal carriage and often brusque manner without becoming a caricature. She morphs chameleon-like into the complex portrait of a woman whose genius and promise has been robbed by the cruel hand of colorism and sexism, the bitter manifestation of what happens to Langston Hughes’ dream deferred. Her haunting voice spreads lushly through the room, crooning heartbreaking iconic songs from Simone’s canon like “Brown Baby.” When she sings the words “It makes me glad you gonna have things that I never had/When out of men’s heart all hate is hurled/Sweetie you gonna live in a better world/Brown baby brown baby brown baby” she sings hope for a future she will never see, and that nearly 60 years later, has yet to be realized. The characters coalesce in the aftermath of the 1963 16th Baptist Church bombing that killed four little girls, grappling with the immediate and devastating emotional impact of the Black community, and the visceral need to decide how to respond. Ariel Richardson is electrifying as Sephronia, blindly propelled to the front lines by righteous anger and the class advantages of colorism that confer membership to the elite “Talented Tenth,” and slight cover in the face of violence. Deana Reed-Foster is heartbreakingly powerful as Sarah, a woman who cannot afford the luxury of revolution because her family must eat. Through her, we see the insidious side of the ever-changing meaning and legacy of the moniker “Auntie,” currently back in vogue through the popularity of Maxine Waters. And Melanie Brezill is raw and vulnerable as Sweet Thing, a woman on the wrong side of respectability politics; the type of loose woman for whom the revolution does not acknowledge. Melanie is thrilled to make her Northlight Theatre debut! Broadway and National Tours: The Book of Mormon and Mamma Mia!. Regional credits include: Little Shop of Horrors, Aida (Drury Lane); Last Stop on Market Street, My Wonderful Birthday Suit, and The Miraculous Journey of Edward Tulane (Chicago Children’s Theatre); Man In the Ring, Caroline, Or Change (Court); A Christmas Carol, Crowns (Goodman); The MLK Project (Writers); Yeast Nation (American Theater Company); Living Green (Victory Gardens); Once On This Island (Porchlight). TV Credits: Empire. Next up: For Colored Girls Who Have Considered Suicide / When the Rainbow Is Enuf at Court Theatre. She would like to thank her family, friends, and Stewart Talent for their love and support! 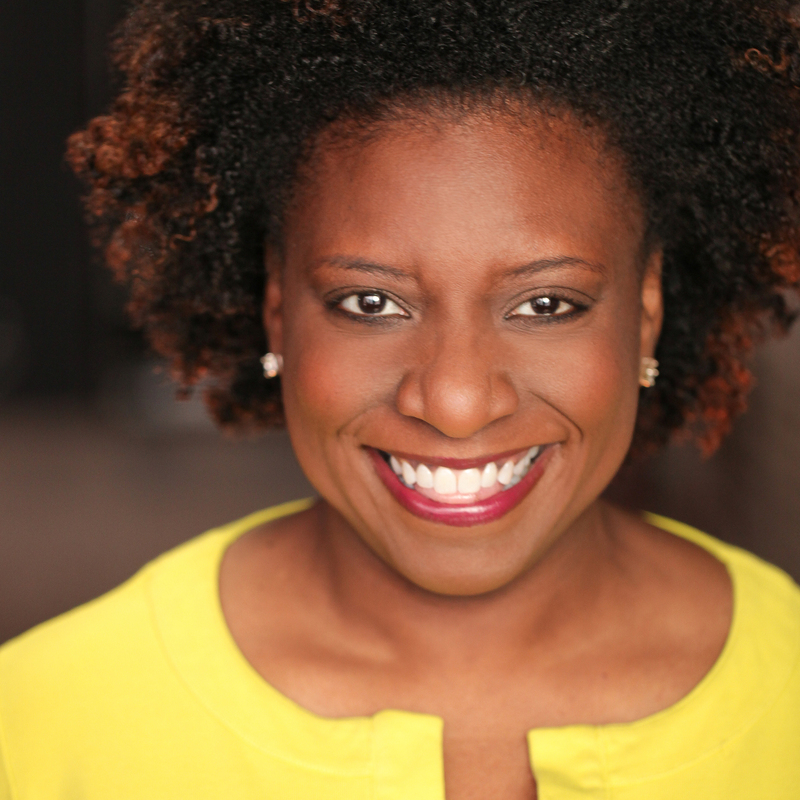 Sydney is an award-winning actress hailing from Chicago, who committed her life to acting after years in Corporate America. Select Chicago credits: Flyin West (American Blues), Father Comes Home From the Wars (Goodman), Guess Who’s Coming to Dinner (Court), Insurrection: Holding History (Stage Left), Lottery Day (Goodman, New Stages), three editions of The Fly Honey Show (The Inconvenience), Spamilton Chicago (Royal George), An Octoroon (Definition Theatre), The Wiz (Kokandy), Prowess (Jackalope), and Dessa Rose (Bailiwick Chicago). Her directing debut was with Wildclaw Theatre with their yearly Deathscribe Festival of Horror Plays, and she just served as Associate Director for The Shipment at Red Tape Theatre. TV/Web: The Haven, The T, and Shameless (Showtime). She is proud to be an artistic associate with Firebrand Theater – the recently formed feminist musical theater company. Sydney thanks God for every opportunity and her circle for supporting her every step of the way. 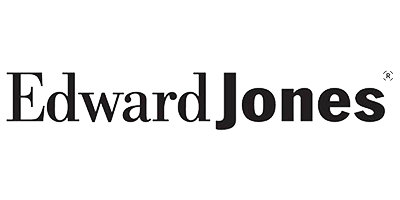 Represented by Stewart Talent. Deanna is an Emmy Award and Jeff Award winning actress who is thrilled to be making her Northlight Theatre debut. She was last seen in SideShow Theatre’s HeLa. 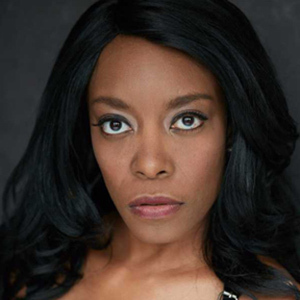 She has worked with many theaters in the Chicago area including Strawdog, Steppenwolf, Black Ensemble, Pulse Theatre, Court, Shattered Globe (Ensemble Member) and The New Colony (Ensemble Member). 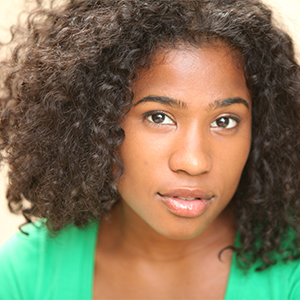 Deanna can be seen in a recurring role on NBC’s Chicago Fire and she can also be seen in several films like Widows, Last Flag Flying, Southside With You, and Roll Bounce. Deanna is represented by DDO Chicago. Ariel is thrilled to be making her Northlight Theatre debut. An alum of Oklahoma City University; Ariel received her BFA in Acting. She was most recently seen in Oak Park Festival Theatre’s production of African Company Presets Richard III. 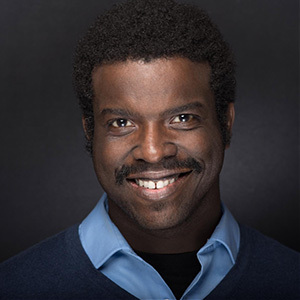 Other theatre credits include Southern Gothic (Windy City Playhouse) and An Octoroon (Definition Theatre Company). 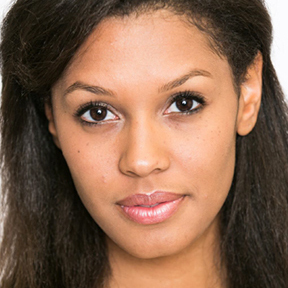 Her television credits include Empire (FOX Television Network) and The CHI (Showtime). Ariel is represented by Stewart Talent. Endless love and thanks to her family and friends. 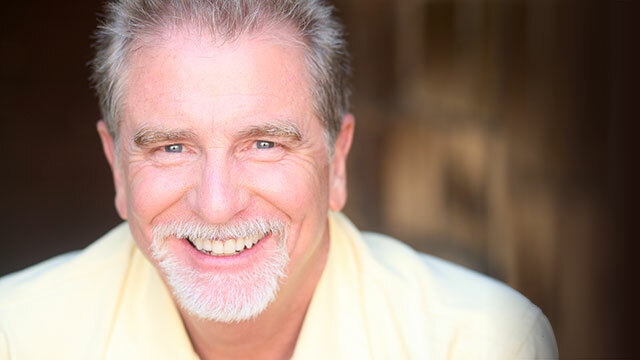 Director credits: Ethel (Alliance Theatre and Alabama Shakespeare Festival); Crowns, Lady Day at the Emerson Bar and Grill (Arena Stage); Once on This Island (Baltimore Center Stage); Wycliffe Gordon’s Jazz a La Carte (Harlem Jazz Shrines Festival); Frog Kiss (Virginia Stage); Urinetown, Into The Woods and Pippin (Indiana University). Choreography Broadway and Off-Broadway: Avenue Q (Tony Award Best Musical), All Shook Up, Purlie, Colman Domingo’s A Boy and His Soul, John Lequizamo’s Freak, Seven Guitars and The Piano Lesson. Choreographer TV and Film: HBO’s Lackawanna Blues, Preaching to the Choir, and John Lequizamo’s House of Buggin’ (Emmy nomination outstanding choreography). Also a performance artist, his one man shows have played New York Public Theatre, Joe’s Pub the Triad Theatre, and Baltimore Center Stage. A graduate of the University of Georgia, he is currently Professor of Practice at Indiana University in the Theatre, Drama and Contemporary Dance Department. Christina Ham’s plays have been developed and produced both nationally and internationally with the Kennedy Center, Arena Stage, Center Theater Group, The Guthrie Theater, Ensemble Studio Theatre, The Goodman Theatre, Institute of Contemporary Art in Boston, Tony Award winning producer Arielle Tepper Madover off-Broadway at Theater Row, and the Tokyo International Arts Festival among many others. Christina is a two-time recipient of a McKnight Fellowship in Playwriting and a Jerome Fellowship from the Playwrights’ Center in Minneapolis, the Marianne Murphy Women & Philanthropy Award in Playwriting, a MacDowell Colony Artist Residency, and a previous nominee for Center Theater Group’s Richard E. Sherwood Award for Distinguished Emerging Theater Artist. She has received commissions from the Kennedy Center, The Guthrie Theater, and Ensemble Studio Theatre/Alfred P. Sloan Foundation, among many others. Her plays are published by Dramatic Publishing, Heinemann, PlayScripts, Inc., Smith and Kraus, and Oberon Books. She is a graduate of the University of Southern California and holds an MFA in Playwriting from The UCLA School of Theater, Film, and Television where she was a Graduate Opportunity Fellow. Michael returns Northlight where he previously designed Thunder Knocking on the Door. Off-Broadway: Absolution (St. Luke’s Theatre); Happy Family, Devoted Dreams (Beckett Theatre); How to Write While Sleeping (Soho Rep). 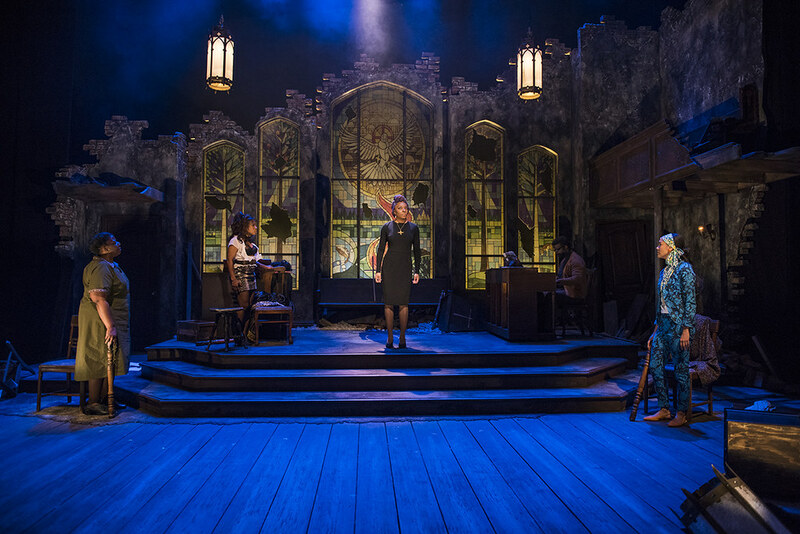 Chicago: Beauty’s Daughter (American Blues Theatre), Vivisections of a Blown Mind (Goodman); Nikki Giovanni: A New Song for a New Day, Geva: the Old Settler (Steppenwolf). 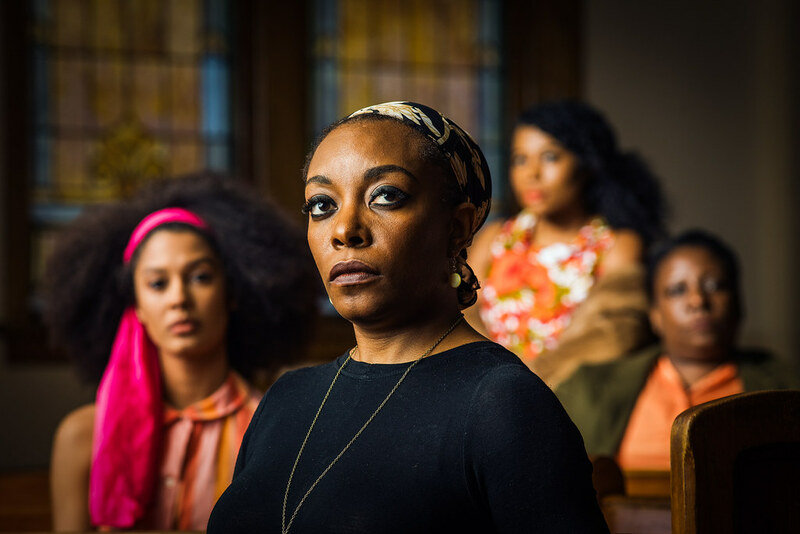 Regional: The Christians, Seven Guitars (Baltimore Center Stage); Seven Guitars (St. Louis Black Rep); Colored Museum (Alliance Theatre); Thunder Knocking on the Door (Guthrie); In Walks Ed (Long Wharf). Film/TV: Maya Angelou: And Still I Rise (American Masters, PBS), L.A. Hair (We Network), Chicagoliscious (Style Network), The Drunk, The Truth, Of Boys and Men. Commercial credits include Walmart, Walgreens, McDonald’s. Education: Parsons School of Design, NYC. 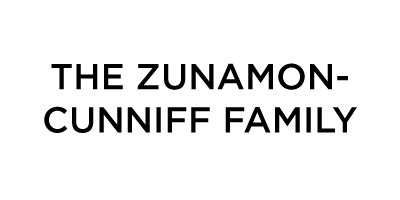 Awards: National Endowment for the Arts Fellowship, Joseph Jefferson Citation, Joseph Jefferson Nom, 3 Black Theatre Alliance Awards. michaelalansteincostume.com. 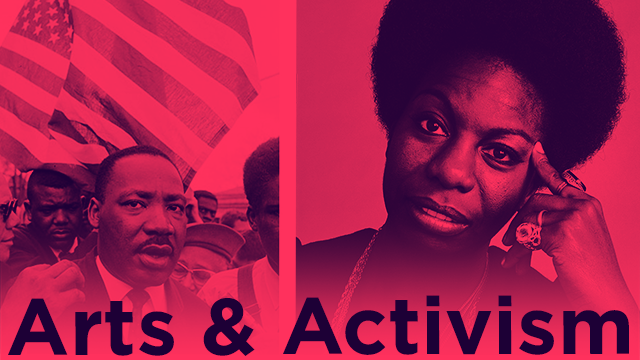 A collaboration from the Illinois Holocaust Museum & Education Center and Northlight Theatre, learn about the intersection of art and social activism through a discussion of the music of Nina Simone and the photography of Steve Schapiro.